It only takes a few minutes to bleed to death, but bystanders with a little knowledge can save lives. 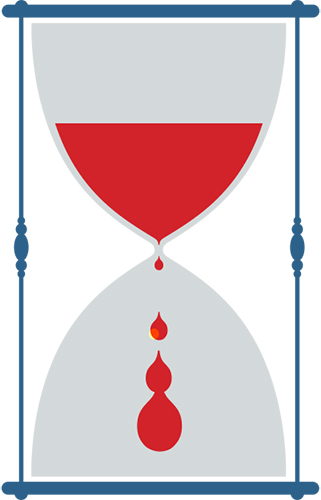 It only takes a few minutes to bleed to death. And when calamity strikes, whether it is a car crash, a fall or a bullet wound, precious time flies by before emergency help can arrive. But bystanders with a little knowledge can save lives, says Maria Paulsen, the trauma outreach education coordinator at UW Medicine’s Harborview Medical Center. Paulsen and an elite team of trauma surgeons staff the Stop the Bleed Program, a joint effort with UW Medicine, the School of Nursing and the Harborview Injury Prevention & Research Center (HIPRC) to train members of the general public to perform simple, yet life-saving tasks. Stop the Bleed is part of a national awareness campaign launched by the White House in 2015 as a response to the Sandy Hook Elementary School shooting and other mass casualty events. Blood loss is the leading cause of death in mass shootings. The purpose of the Stop the Bleed campaign was to encourage witnesses to step in and help until emergency workers can take over. Taking up the challenge, the Seattle-based program has so far trained 1,700 people in techniques from packing wounds and setting tourniquets to practical advice like writing the time of treatment on the forehead of the injured person so the ER team knows the details. The Stop the Bleed class is about two and a half hours long and contains two components—a lecture about what to do in an active shooter situation and hands-on training in stemming blood flow. In small groups, students practice stuffing rags into latex models of wounds and tightening tourniquets on test dummies. One day late last fall, UW surgeon Bryce Robinson stepped to the front of the class to offer some expert encouragement. “Apply pressure on top of the wound, enough to counteract the victim’s blood pressure,” he tells them. At the end of the class, the students left with plans of how to respond during a shooting as well as an understanding of how to pack wounds, apply dressings and use tourniquets. Learn more or sign up for a Stop the Bleed class at stopthebleedwa.org. Manisha Jha is a UW undergraduate studying health sciences.